James Yorkston’s traditional Christmas tour stops off at Magnet, Getintothis’ Paul Higham looks ahead to a night of warm conviviality and a heap of festive cheer. 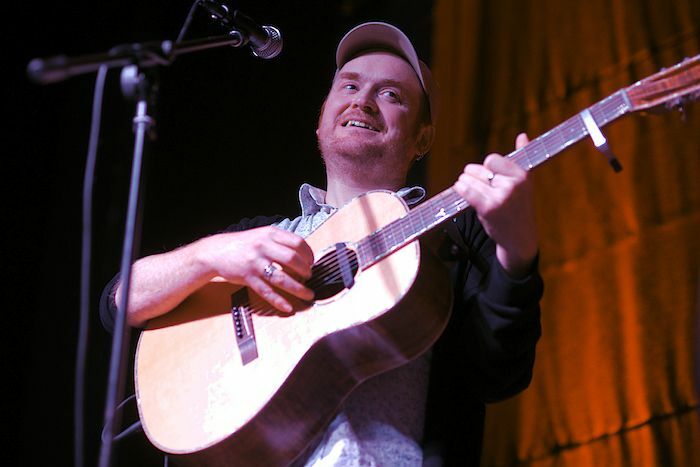 The traditional pre-Christmas shows by cult Scottish folk musician James Yorkston have become, for many, a rite of passage, a signal to wind down and a sign that the festive season has well and truly begun. This year sees Yorkston planning a stop-off at Liverpool’s The Magnet for what will undoubtedly be a night of warm conviviality, gentle humour and masterfully crafted wry folk songs. Amid the unsightly scramble for Christmas number one this tour will provide a much needed dollop of festive cheer and a perfect antidote to the clean cut reality TV wannabes that dominate our screens at this time of year. Yorkston last appeared in Liverpool at Leaf in 2014 with a performance marred by an intrusive open mic night downstairs. To his credit he took the distractions in his stride and hasn’t let this dissuade him from a return visit to the city. This show will be one of the first solo shows that Yorkston will have performed in what has been a varied year. Beginning the year releasing an acclaimed collaborative album with bassist Jon Thorne and Suhail Yusuf Khan, Yorkston followed this up with the release of his second book and debut novel Three Craws. This tour affords him an opportunity to revisit and approach in a fresh light some of his older material as well as rearranging some of his more recent compositions. As with any Yorkston show we can expect a mix of wry humour and warm-hearted sadness-tinged leftfield folk songs that will make us both laugh and cry – ultimately heading into the night air with uplifted smiles on our faces. Now what could be a more reviving festive tonic than that? James Yorkston plays The Magnet on Thursday December 15.